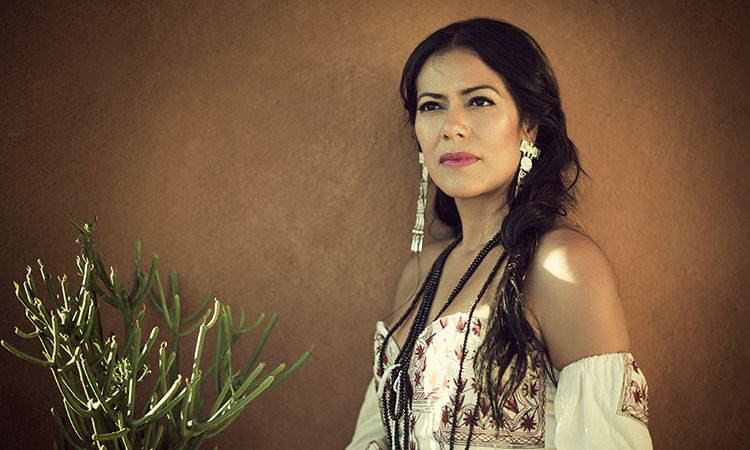 Mexican-American, singer, songwriter and actress, Lila Downs debuted at Jazz at Lincoln Center as part of National Hispanic Heritage Month, which takes place from mid-September to October 15th. 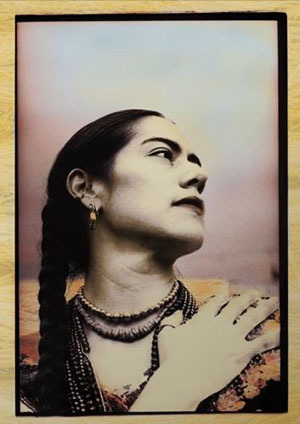 Downs was born in Oaxaca to Mixtec indigenous singer Anita Sanchez and Allen Downs, a Scottish-American art professor and cinematographer and spent the better part of her childhood alternating between Mexico and Roseville, Minnesota, where she went to school. While in college at the University of Minnesota she studied voice and anthropology and took an interest in her Mexican roots. Shortly thereafter, she withdrew in order to focus on her musical career and plunged into Oaxaca’s vibrant music scene. She’s a Grammy and Latin Grammy Awards winner, she has recorded ten highly acclaimed albums as a leader and thanks to Mané Alta Costura of Oaxaca, who designs her costumes from traditional regional clothing and the textiles of Mexico, Downs resembles a Mixtec Goddess. 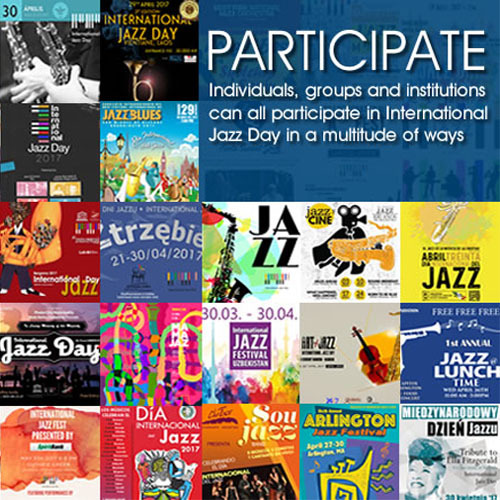 What hasn’t changed is her idiosyncratic vision and diverse repertoire, which includes a mix of traditional Mexican music, indigenous styles (sung in regional dialects) and a fusion of folk music, rock, cumbia, flamenco and jazz and her penchant for telling the stories of ordinary people and advocating for social justice. In concert, Downs was joined by her 8-piece band “La Misteriosa,” led by her husband and longtime collaborator, Paul Cohen, who she met in Oaxaca when their respective bands played on the same bill. Onstage, the set took flight with a lively “Jarocho” (a style of music from Veracruz), a romantic bolero and “La Sandunga,” the unofficial anthem of the Isthmus of Tehuantepec in the state of Oaxaca. As the set heated up Downs pulled out all the stops with “Zapata Se Queda,” belted out the classic tunes, “Quizás, Quizás, Quizás” (Perhaps, Perhaps, Perhaps), “Cucurrucucú Paloma and the haunting, “La Llorona.” The set closed with the heart-wrenching ranchera, “Fallaste Corazón,” which brought the audience to tears. Downs returned to the stage after a well-earned standing ovation and dedicated the tune “Smile” to President Obama and Immigration Reform. In this writer’s opinion, the tune was an odd choice. Having said that, I realize that there is always a method to her madness. Her recordings and films shine, but there is nothing that compares to seeing Lila Downs live. As I write this, Downs and Cohen are busy at work on her new recording, based on Mexico’s Day of the Dead.